Kazakhstan is officially a presidential republic. Through the years the country has been criticized worldwide due to its lack of protection of human rights and the limited press freedom in the country. Press freedom is enshrined in the constitution, also private and opposition media are often subject to harassment and censorship. Although the country managed to adapt various international legislations through the years, the human rights condition and the authoritarian regime in the Central Asian state remained the same. The parliamentary elections held on 20 March 2016 were won by the president’s party – Nur Otan - with a large majority of 82.2 percent. The only real opposition party, Nationwide Social Democratic Party, was unable to enter the Mazhilis, the lower house of the bicameral parliament. Kazakhstan’s electoral system is still not perceived as ‘fair and transparent’ by Western governments. Want to get notified by mail when Kazakhstan gets updated? Nursultan Nazarbayev was born in Chemolgan, Kazakhstan in 1940. He was educated in the Kazakh and Ukrainian Soviet Republics. Nazarbayev worked as a metallurgical engineer and he was employed at the Karaganda (Qaraghandy) iron- and steelworks. He later became an economist and in 1969 he began serving in Communist party posts at the local level, becoming First Secretary of the Kazakh Communist party by 1989. He was Chairman of the Kazakh Supreme Soviet between 1989 and 1990, a member of the Soviet politburo in 1990 and president of the Kazakh Soviet Socialist Republic between 1990 and 1991. 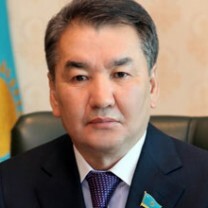 Nazarbayev has served as President of the Republic of Kazakhstan since 1991. During his presidency Nazarbayev has made several legislative amendments to consolidate his power. In 2007 the parliament voted to allow him to stay in office for an unlimited number of terms. In 2010, he was granted the title “Leader of the Nation” and was given immunity from any prosecution. Nazarbayev has concentrated extensive powers in his own hands and is accused by the opposition of suppressing dissents. Supporters, however, say he preserves inter-ethnic stability in the country. Furthermore, Nazarbayev has been especially keen to raise Kazakhstan’s internationally profile. Among the leaders of the former Soviet Muslim republics, he is the one closest ally to Moscow. Nazarbayev has given his family members powerful and influential positions in the country’s society. Moreover, he is believed to have transferred at least billion worth of oil revenues to his private bank accounts in other countries and his family controls many other key enterprises in Kazakhstan. Bakhytzhan Abdiruly Sagintayev, born in 1963, is the current Prime Minister of Kazakhstan. He graduated from the Kazakh State University as a candidate of economic sciences. He started his career as a teacher in the political economy department of the Almaty Insitute of National Economy, after which he wored at the Kazakh State University and in the business sector. From 1998 onwards, he served as civil servant in various postions, such as Deputy Governer of the Zhambyl region, Deputy Chairman of the Agency for Small Business Support, Chair of the Agency for Regulation of Natural Monopolies of Kazakhstan, among others. In 2007-2008, Sagintayev headed the Prime Minister's Office of Kazakhstan, after which he was appointed Governor of the Pavlodar region. 2012 marked the return of Sagintayev to the national political arena when he became Minister of Economic Development and Trade. The same year, he also got a leading role in the "Nur Otan" National Democratic Party, by becoming First Deputy Head. In 2013, he was appointed First Deputy Prime Minister and Minister of Regional Development. On 8 September 2016 Sagintayev preceded Karim Massimov as Prime Minister. Sagintayev is married and has two children. The first and only president in Kazakhstan since the independence in 1991 is Nursultan Nazarbayev. He functions as the head of state and holds all of the nation’s executive authority. The president is also the commander in chief of the armed forces and may veto legislation that has been passed by the parliament. The Kazakh president is elected by the people and serves, in principle, for at most two five-year terms. However, a referendum held in April 1995 extended the term of Nazarbayev until 2000. Then in January 1999 and again in December 2005 President Nazarbayev was re-elected. The Organization for Security and Cooperation in Europe (OSCE) criticized both the presidential elections of 2005 and 2009 as falling short of international democratic standards. An election requires two or more candidates running in opposition, and with a single candidate it is therefore not an election but a referendum. 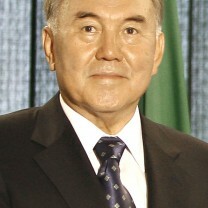 Consequently, on 18 May 2007 the parliament of Kazakhstan approved a constitutional amendment which would allow Nazarbayev to seek re-election as many times as he wishes. This amendment applies specifically and only to Nazarbayev, in the original constitution the maximum of two presidential terms that is prescribed will still apply to all future presidents of Kazakhstan. During his presidency, Nazarbayev has made several legislative amendments to further strengthen his position. The power of the president increased constitutionally, after which less emphasis was placed on human rights, and he can appoint every member of the cabinet, excluding the position of premier and head of the state bank. In October 1998, the Kazakh legislature approved constitutional amendments that enabled Nazarbayev to call an early presidential race for January 1999 and extended the president’s term from five to seven years. Additionally, in 2007 the parliament voted to allow Nazarbayev to stay in office for an unlimited number of terms. In 2010, he was granted the title “Leader of the Nation” and was given immunity from any prosecution. This means that Nazarbayev will be able to control Kazakh politics even when he retires. However, after winning the presidential election in April 2011, the 71-year-old Nazarbayev stated that he was not considering giving up the presidential position. Nazarbayev has given his family members powerful and influential positions in the country’s society. His eldest daughter Dariga Nazarbayeva and her ex husband Rakhat Aliyev were media magnets and controlled numerous businesses in the energy and oil sectors, services and banks. Nazarbayev’s other daughter, Dinara, is married to Timur Kulibayev. He is a powerful oligarch who is vice-President of Kazakhstan’s state oil and gas company KazMunayGaz with political ambitions of his own. Kazakhstan has a bicameral parliament composed of the lower house, also known as the Mazhilis, and the upper house, the Senate. The Mazhilis is formed on the basis of a proportional system of representation consisting of 98 deputies, where the majority is appointed by the ruling Nur Otan party, which Nazarbayev heads. Due to constitutional changes, the mandate in the Mazhilis lies not with the deputies, but with the party. If a deputy leaves or is thrown out of the party, he loses his mandate. Thus, the deputy’s authority is totally dependent upon the president. In May 2007 the government of Kazakhstan adopted several amendments to the constitution, this also involved amendments to the Election Law made on 19 June 2007. The previous Mazhilis elections were held under a predominantly majoritarian election system, with ten seats elected through a proportional system. Under the new system 98 of the 107 deputies are elected in a proportional closed list system, the remaining nine deputies are appointed by the Assembly of the People of Kazakhstan, a 366-member organization that has constitutional status but is really only a ceremonial body whose main function is to represent the nation’s various ethnic groups. The assembly members are appointed by the president, who serves as its chairman for life. The voters will vote for the competing political parties and the parties choose, after the publication of the election results, which candidate gets a seat in the parliament. To be eligible to earn seats a party must secure at least seven percent of the votes. The idea behind the appointment of the nine remaining deputies is that this will provide additional representation for minorities. On 16 November 2011, President Nazarbayev dissolved the Mazhilis and called for early elections. The presidential order followed a petition by parliament members asking the president to dissolve the legislative body and establish a multi-party representation system in the hope of putting an end to the governing party's monopolistic grip on the legislature. The request of the MPs was made to put an end to international criticism of what is essentially a single-party system. Nazarbayev's Nur Otan party occupied all the seats in the 108-strong Mazhilis, and all 47 seats in the Senate. 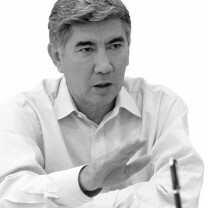 After the re-election of the president in April 2011, criticism intensified over Nur Otan’s pre-eminent status and its implications for possible democratic reform in Kazakhstan. The Senate has 47 members and is the upper house of parliament. The president appoints one-third of its members directly. The other two-third of the Senate is appointed by the regions (two representatives from each region), but Nazarbayev also influences this process indirectly because he appoints the governors of each region. In addition to these bodies, the country has a Constitutional Council, which is appointed by the president, the Senate and the Mazhilis in equal proportions. It also has a Supreme Court, which is elected by the Senate based on the president’s recommendations. On 20 March 2016, Kazakhstan held early parliamentary elections after Nazarbayev dissolved the parliament in January that same year. According to the “Mazhilis” it was necessary to hold early elections in order to tackle new challenges caused by the economic crisis in Kazakhstan, as a consequence to the lower global oil prices and Russia’s economic crisis. Six parties ran in the election: the presidential Nur Otan party, three pro-presidential parties - Democratic Party of Kazakhstan Ak Zhol, Communist People’s Party of Kazakhstan and Kazakhstani Social Democratic Party ‘Auyl’- and Birlik and Nationwide Social Democratic Party, the only opposition parties. Beforehand, it was already widely expected that Nazarbayev’s party would win with a large majority. Three out of six participating parties did not pass the threshold of 7 percent and will thus have no seats. Eventually 82.2 percent compared to its previous 80.99 percent of the votes went to ruling party Nur Otan. The other two pro-presidential parties, Democratic Party of Kazakhstan Ak Zhol and Communist People’s Party of Kazakhstan, both received 7 percent of the votes. The OSCE observer mission concluded that Kazakhstan made some progress, but that there is still a considerable way to go in meeting the OSCE requirements for democratic elections. On the positive side, candidates were generally able to campaign freely and state-funded media made efforts to meet requirements for equal access. Moreover, the Central Election Commission operated in a professional manner, its sessions were open to and regularly attended by observers, media and political party representatives. Nonetheless, on the negative side there were comments on the legal framework and that it restricts fundamental civil and political rights. There were also serious procedural errors and irregularities noted during voting, counting and tabulation. During voting observers noted indications of ballot box stuffing, a very high number of names added to the voter lists on election day, as well as group and proxy voting. During the counting reconciliation procedures ensuring consistency and reliability of the process were often not followed. Finally, media analysis and political debate were often absent, and even though freedom of expression is guaranteed by the constitution, the presence of penalties in the law stops public debate and suppresses alternative viewpoints. There are no special legal measures that promote participation of women in elections. Overall, 47 of 234 candidates on party lists were women. They also comprised 34 and 46 percent of Regional and Territorial Election Commission members, and more than 70 percent of Precinct Election Commission members. Candidate registration was inclusive, though, of the 234 registered candidates, 47 (20 percent) were women. Finally, the Election Law does not contain a gender quota or other measures to enhance participation of women in the elections. On 26 April 2015, early presidential elections were held in Kazakhstan. These elections were originally scheduled for the end of 2016, but moved forward to avoid having Presidential and Parliamentary elections in the same year. Three people contended for the presidency, including the current president Nursultan Nazarbayev, but there were no opposition candidates as strict registration requirements reduced the number of candidates dramatically. There were 25 self-nominated candidates and 2 nominated by political parties. The CEC had up to five days to verify nominees’ eligibility. Two were rejected for being below the minimum age; three withdrew; eight failed the language test; four did not appear for the test; three refused to take a test; and seven passed the test. The seven remaining nominees were issued sheets for the collection of candidate support signatures in two days, with only 3 candidates receiving enough signatures. These were Nazarbayev representing the Nur Otan/Fatherland party, Turghyn Syzydyqov representing the Kazakh Communist People’s party and Abdelghazy Kussainov who ran in his position as chairman of the Kazakh Unions. The candidates had a month to campaign, but Nazarbayev received much more exposure in media and had more meetings with the constituencies. The voter turnout was announced at 95.2%, meaning 9.2 million Kazakhs voted. Nazarbayev won the elections. According to the OSCE the election day proceeded in an orderly manner, but serious procedural errors and irregularities were observed. Numerous indications of ballot box stuffing were noted throughout the day. The OSCE assessed vote counting as bad or very bad in almost half of the 95 polling stations observed (46 cases). In 2011 President Nazarbayev called on his government to provide increased opportunities for women to serve in leadership positions in politics and government. In parliament women constitute 14 and 10.3 percent of the total number of government officials. Furthermore, few women hold a high‐level public decision making position. There are currently three female ambassadors and one female representative to any international organisation. The political participation of women as representative across government institutions falls below the 30 percent quota established by Kazakh law. Kazakhstan is ethnically divided with about two-third of the population being Kazakh, a quarter being originally from Russia and small populations of Uzbek, Ukrainian, Uyghur, Tatar and German people. In the beginning of his rule President Nazarbayev was seen by many minority group members as a guarantor of inter-ethnic harmony. At a time when non-Kazakhs were an overall majority in the country, this support may have become more lukewarm as Kazakh emigration (from other parts of the former Soviet Union, Mongolia, Turkey and China) in combination with the emigration of non-Kazakhs not only led to a Kazakh majority in the 1996 elections to Parliament, but also to laws and policies which have increasingly disadvantaged minorities in terms of language and employment opportunities. This in a sense was confirmed by President Nazarbayev himself in 2000 when he stated that Kazakhstan was a ‘Turkophone state’. The protection of rights under the constitution and legislation is deeply flawed in Kazakhstan in the absence of an independent judiciary. On a positive note, a consultative ‘Assembly of Peoples of Kazakhstan’ was established by the president in 1995 to represent the interests of the country’s various minorities. Language and other requirements have resulted in public and political institutions where there remain relatively few members of ethnic minorities in elected office and civil service. Legislation requiring that at least 50 percent of all media broadcasts, including by independent private media, to be in Kazakh has resulted in fines that have been heavy and, in some cases, even to some media being shut down for not complying with this language requirement. In addition, it is reported that state authorities consistently provide state subsidies, but to Kazakh-language media only. Despite this, Russian remains the dominant lingua franca in most day to day aspects, particularly in the country’s cities. The Nationwide Social Democratic Party is the only opposition party in Kazakhstan and is known for being the most outspoken critic of the Nur Otan party of president Nursultan Nazarbayev. The party was founded in 2006 and led by Zharmakhan Tuyakbay who was also a former presidential candidate. At first the party had an intention to merge with another political party; Ak Zhol, though an amendment prevented parties from creating bloc, before the parties were able to merge. The party has taken upon itself the task of building democratic, legal and humanitarian policy. The party is working on realization of the values of the international social democratic movement as well as the principles of freedom, justice and solidarity in the political practice of Kazakhstan. At the last elections in 2016, the party only received 1.18% of the votes, meaning it would not receive any seats in parliament. The Auyl Social Democratic Party of Kazakhstan was registered in 2002 and has since then represented rural and agricultural interests. The party is being led by Ali Bektaev. The main goals of the party are the improvement of the agricultural sector, to protect the interests of rural workers, actively promote the implementation of economic and political reforms that are aimed to further democratization of society, and the implementation of reasonable forms of market relations in all sectors of the economy in order to raise living standards. In the latest parliamentary elections of 2016 the party received 2.01% of the voters, which does not exceed the threshold of 7% in order to receive seats in parliament. The National Democratic Party ‘Nur Otan’ is the largest pro-presidential party in Kazakhstan. Since 2007 the party is headed by the current president: Nursultan Nazarbayev. The party’s predecessor, Otan, was originally founded in February 1999 after the merger of several pro-presidential parties in a ‘uniting’ congress. The party immediately stated that its goal was the re-election of Nazarbayev in the 2006 presidential elections. Eventually, Nur Otan won over 88% of the votes according to official results and secured every seat in the parliament. As of the parliamentary elections in 2012, Nur Otan is no longer the only party in the parliament. Two other pro-governmental parties were able to pass the 7% threshold and were now also represented in the parliament. The party’s ideology is closest to populist Eurasianism. The official objectives of the party are commitment to the principles of internationalism, secularism and social democracy, moderate-state economic management and a focus on alliance with former Soviet republics, including Russia. In the Parliamentary elections of 2016 the party was able to unsurprisingly secure 84 seats in parliament with a huge majority of 82.2% of the votes. The Communist People’s Party was registered in 2004 and was founded by 12 former members of the Communist Party of Kazakhstan. Their aim is to make Kazakhstan a genuine democracy with social justice, general spirituality, freedom and a thriving economy based on scientific and technological progress. According to their ideology a centrepiece of the society should be citizens with full civic rights and liberties, opportunities for development and manifestation of their abilities, as well as abilities to satisfy their diverse needs. Until the parliamentary elections of 2016 the party had never been able to reach enough votes in order to receive seats in parliament. In the parliamentary elections of 2016, nevertheless, they were able to reach the threshold of 7% of the votes, and with that earned 7 seats, making it the third largest party. The Democratic Party of Kazakhstan, Ak Zhol, was registered in 2002 after a dissident group of the disbanded political party Democratic Choice of Kazakhstan founded the Ak Zhol movement. The goals of the party are the creation of an independent, prosperous and free Kazakhstan, and the fundamental values of democracy, independence, freedom and justice. The party is seen as largely pro-government and sympathetic with the current president and ruling Nur Otan party. In the 2016 Parliamentary elections the party was able to gain 7 seats with 7.18% of the votes. However, this was still a loss as in the previous parliament the party held 8 seats. Birlik was part of the elections in 2016 for the first time as a new opposition party. There is no further information available about the party. Kairat Mami was born on 9 May 1954 in Zhambyl area of Almaty region. He graduated from the Kazakh State University with a major in Law in 1981. In 1990 Mami became a member of the Supreme Court and from 1993 to 1995 he was the Chairman of the Almaty city court. From September 2000 to April 2009 Mami was the Chairman of the Supreme Court of Republic of Kazakhstan. In April 2011 Mami became Chairman of the Senate of Kazakhstan, with this title he became the successor of Kassym-Jomart Tokayev. 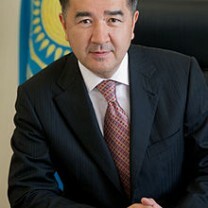 Chairman of the Senate is the second highest position in the government of Kazakhstan. Zharmarkhan Tuyakbay was born on 22 November 1947 in the South of Kazakhstan. He graduated from the Law Department of the Kazakh State University. He is the current Chairman of the All-National Social Democratic Party. He participated in the 2005 presidential elections and is considered the most significant challenger to President Nazarbayev. The political career of Tuyakbay began in 1999, as he won a seat in the Mazhilis, the Kazakh Lower House. Consequently, in December that year, he was elected Chairman of the Mazhilis. Several months before the parliamentary elections of September 2004, he became vice-chairman of the pro-government Otan party. Tuyakbay was the first on the election party list. However, he renounced his mandate as member of the Mazhilis, condemning the violations during the elections. That same year, in 2004, Tuyakbay became Chairman of the Coordinating Council of Democratic Forces of Kazakhstan, which included several parties such as the Democratic Choice of Kazakhstan Party, the Ak Zhol Party and the Communist Party. From March 2005 Tuyakbay chaired the Political Movement For a Just Kazakhstan. Then in December 2005, he ran for president and came in second with 6 percent of the votes, after President Nazarbayev. In 2006 Tuyakbay founded the All-National Social Democratic Party, which intended to merge with the Azat Party. However, the Kazakh parliament approved an amendment to the electoral law preventing parties from forming blocs. The party was officially registered by the governmental authorities in January 2007. It aims to become a member of the Socialist International organization. He co-chairs the party together with Bulat Abilov.